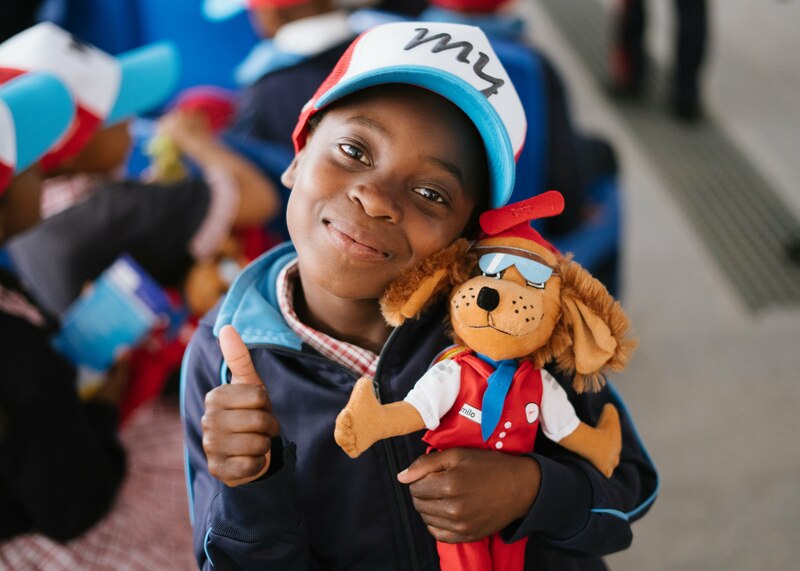 G oing to visit the iThemba Primary School is always a great experience. 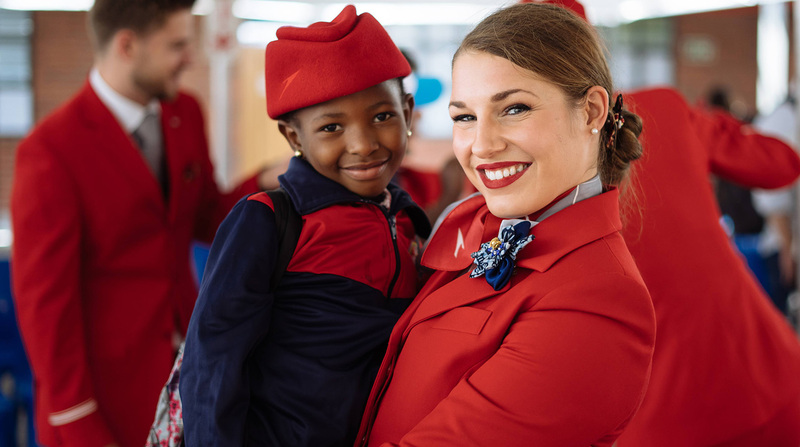 But the 29th of October 2018 was a special one: “The ladies in red are coming!” yells one of the school kids. 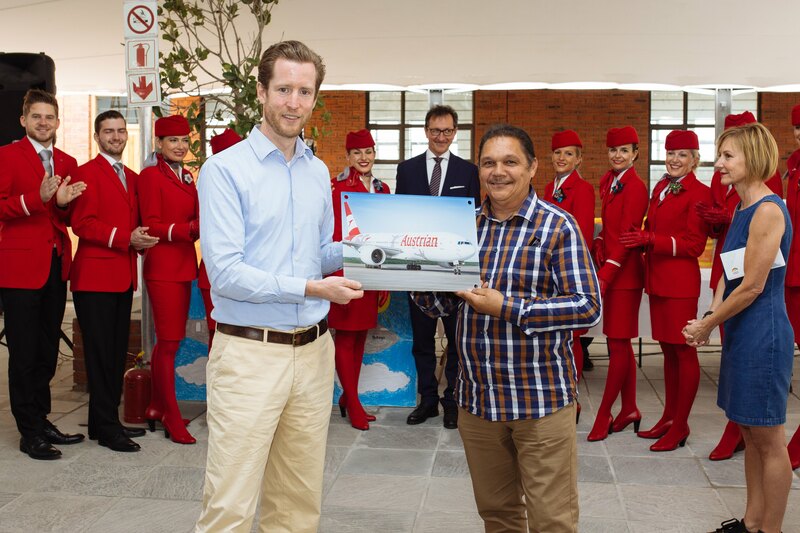 Yes, Austrian Airlines CEO and crew not only landed in Cape Town, but visited the township of Capricorn. 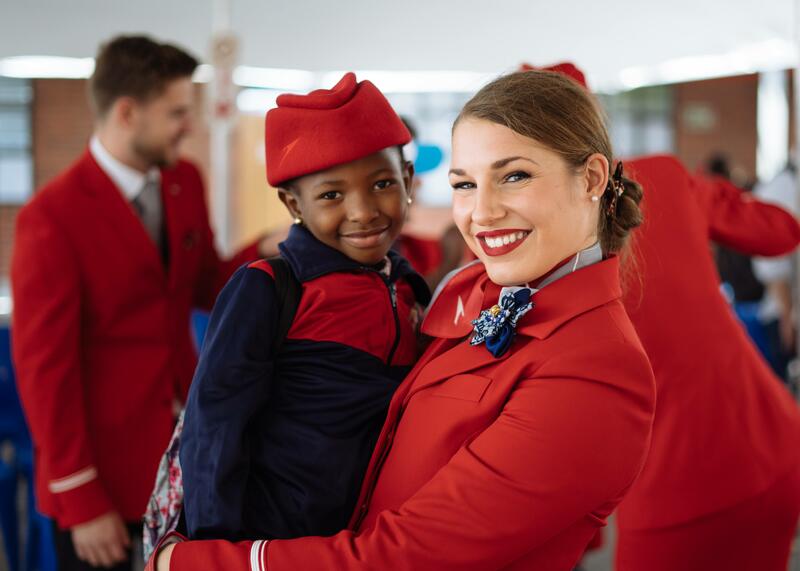 Why, you might wonder? 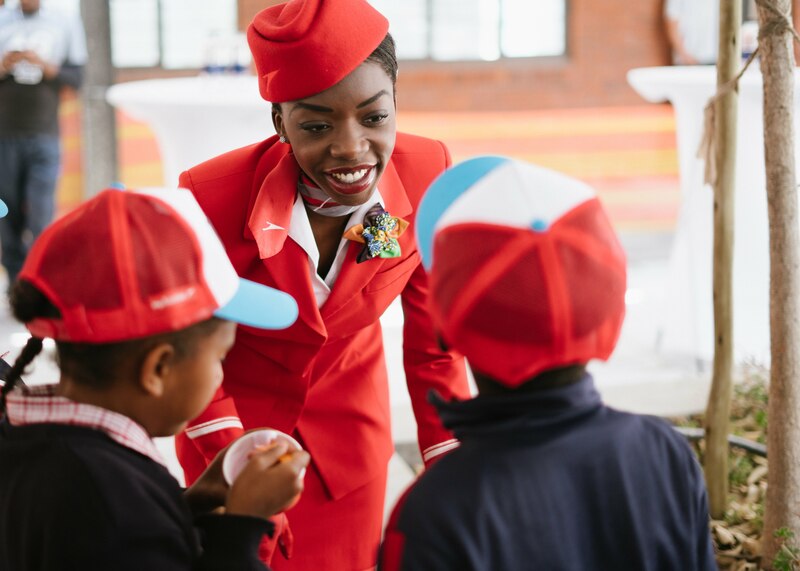 The children of iThemba School, Lufthansa InTouch’s social responsibility project, proposed an option for the naming of Austrian Airlines’ newest Boeing 777: Amongst 10 suggestions, Austrian Airlines employees selected “Sibanye” – “We are one” in Xhosa, one of the local South African languages. 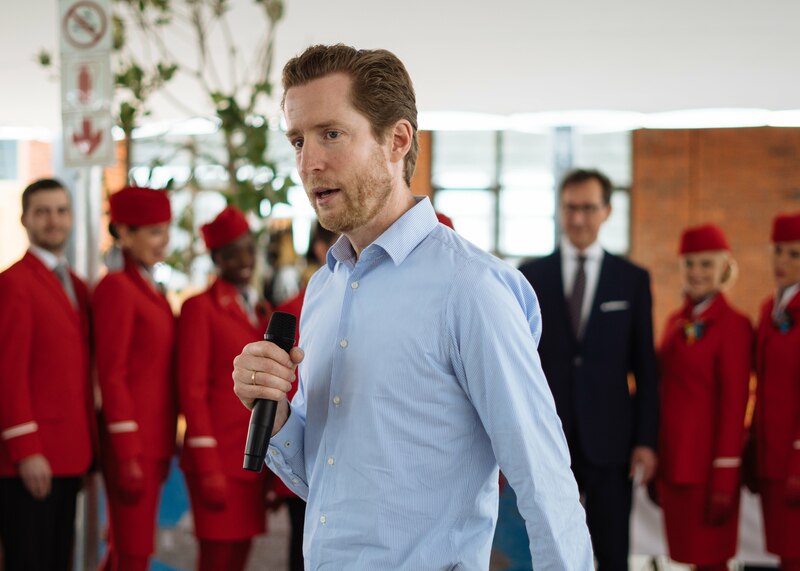 In the official naming ceremony, the children handed over the “naming documentation” – an enormous painting of the B777 “Sibanye” – to Alexis von Hoensbroech, CEO Austrian Airlines. 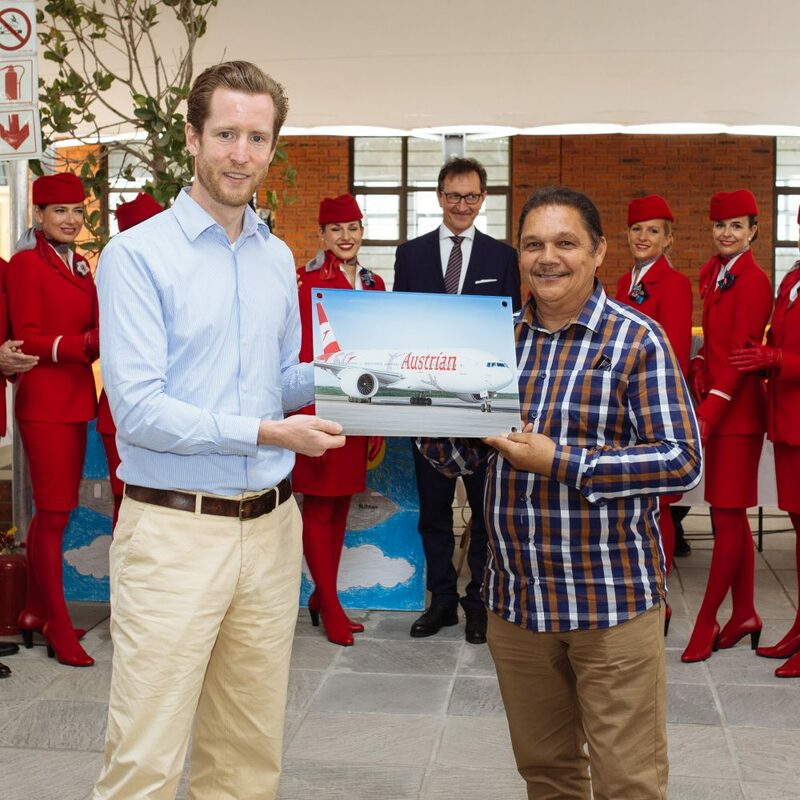 With the launch of a new direct flight between Vienna and Cape Town, Austrian Airlines is establishing ties to the local community. 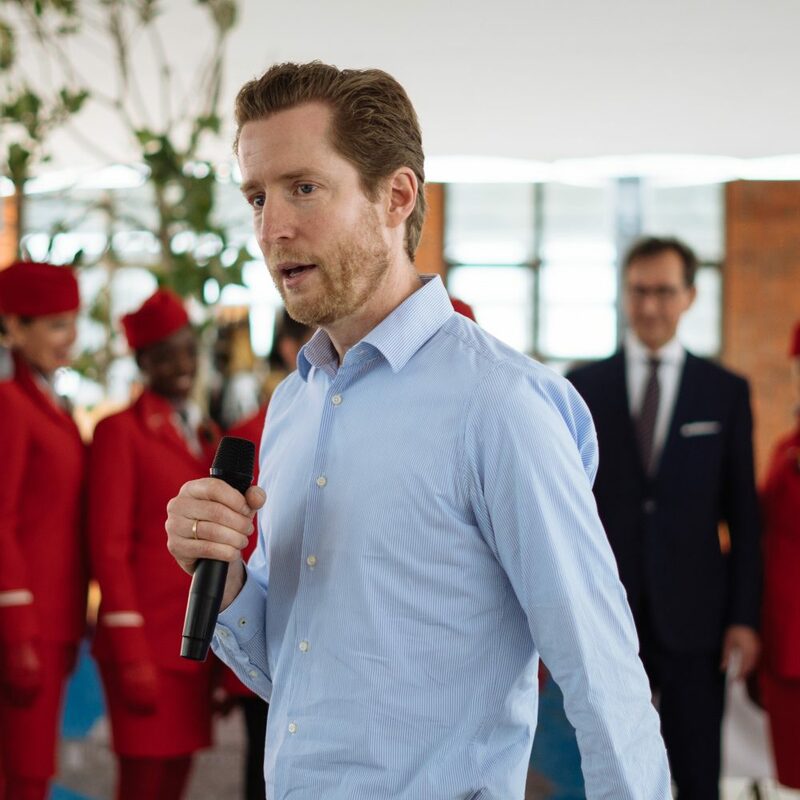 “Considering the fact that the school is growing, we quickly realised where our support would be meaningful”, said Alexis von Hoensbroech, CEO Austrian Airlines. 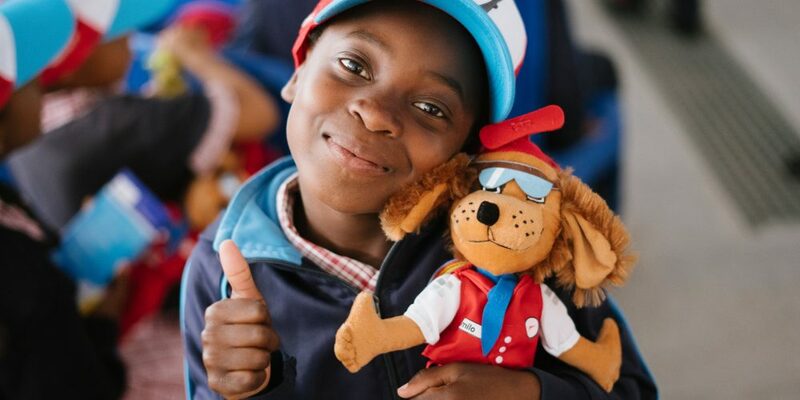 He handed over a donation of 18,000 Euros to iThemba Primary School, a generous amount raised at Austrian’s 60th company anniversary. 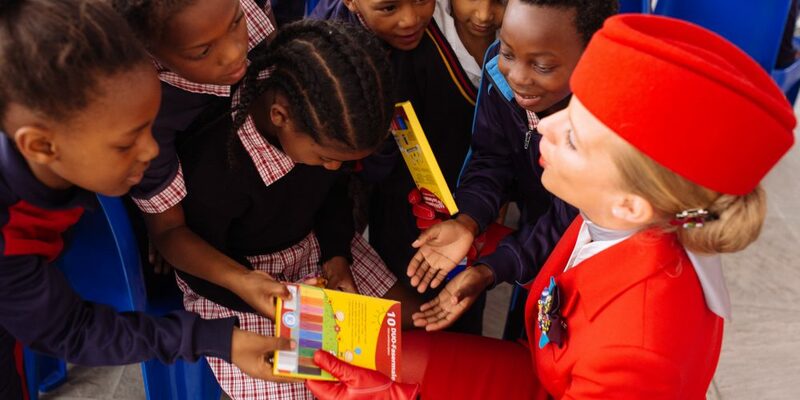 Austrian Airlines came iThemba school in the Cape Town township with one goal: To uplift and bring about positivity. 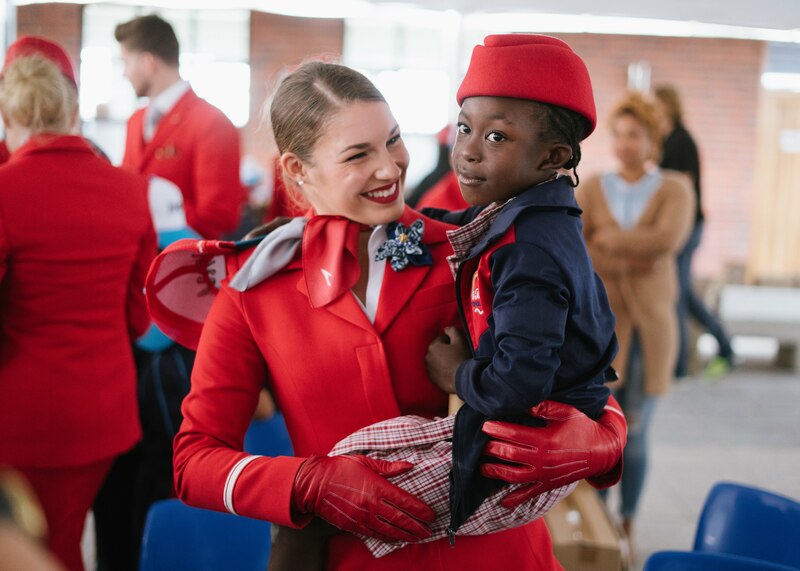 The Austrian Airlines crew brought along some stuffed animals, caps and ice-cream, lighting up the children’s faces. 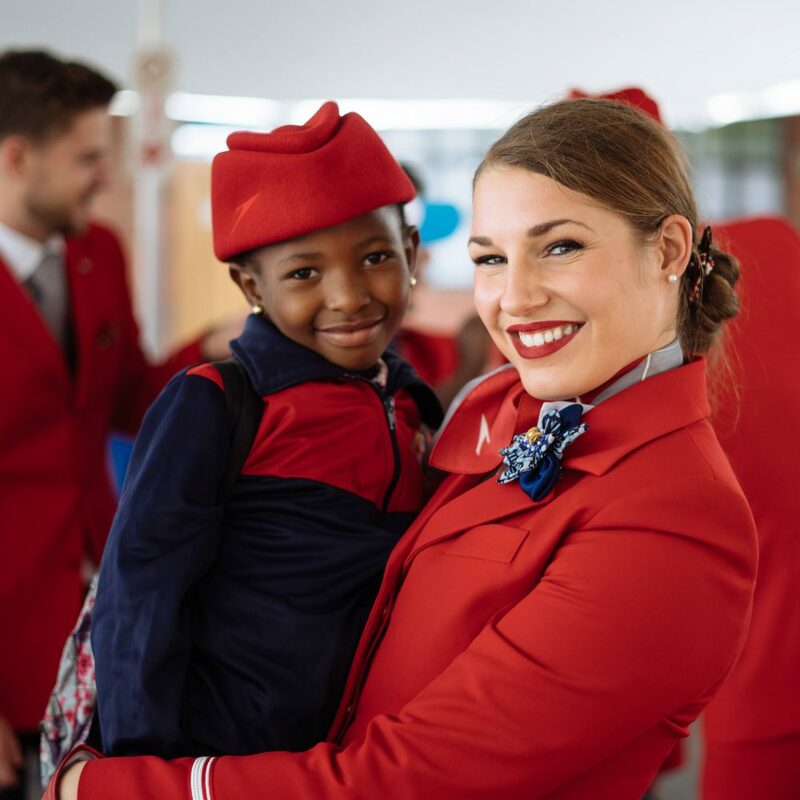 The cabin crew played with the children, making me picture future flight attendants in the making… Seeing the smiling faces of these children lights up my heart! 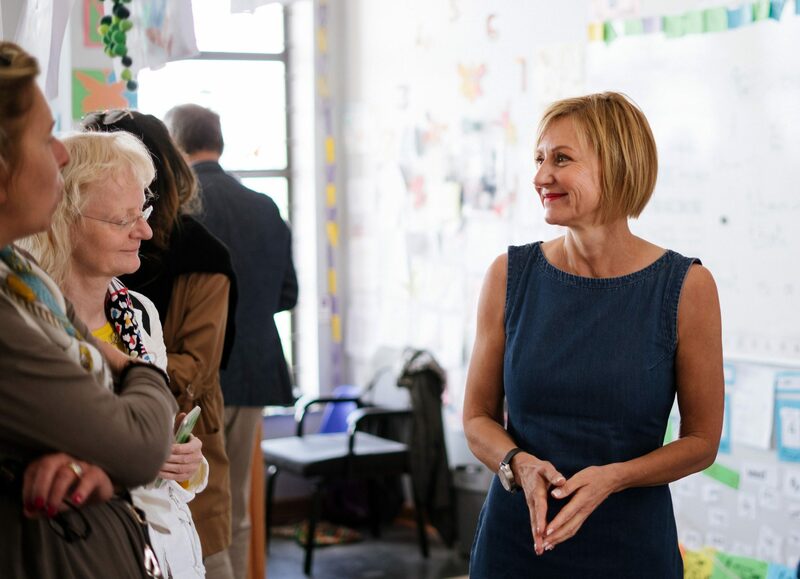 Again, it’s been an incredible visit to the school. I can’t wait for the next one! 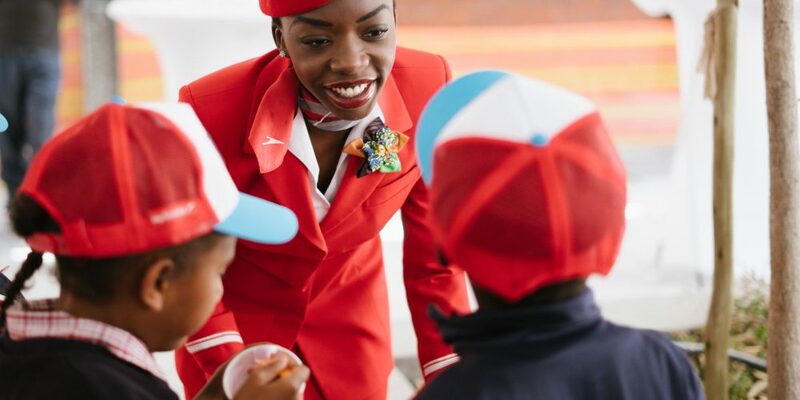 Share the joy in these video snippets captured at the event.